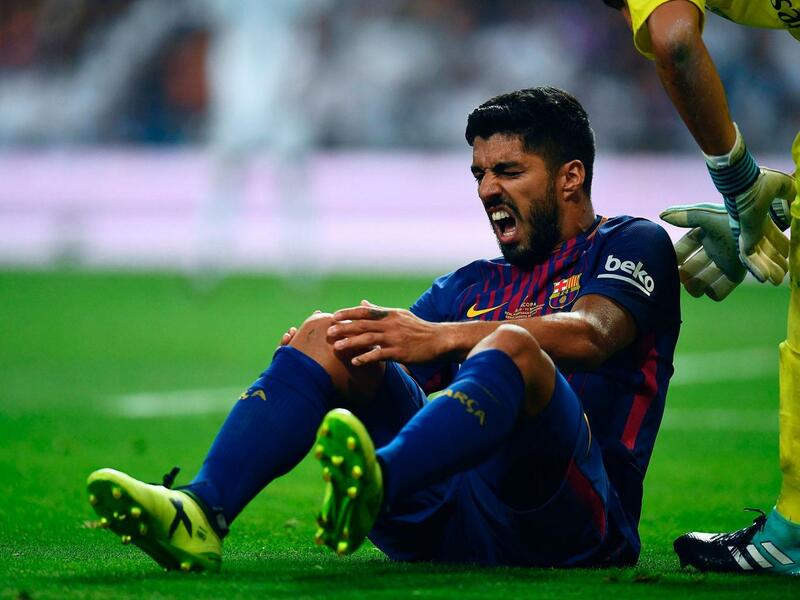 World football giants, Barcelona have suffered a blow on the eve of the new LaLiga season after Luis Suarez was ruled out for a month with a knee injury, The Independent reports. The former Liverpool striker was hurt during the second leg of the Supercopa de Espana against Real Madrid, which the capital club won 2-0 at the Bernabeu to clinch a 5-1 aggregate victory. Suarez will definitely miss Barca's league opener against Real Betis and further fixtures against Alaves and Espanyol, with the trip to Getafe on September 17 representing a potential opportunity to return to action. With the 30-year-old on the sidelines Barca's former 'MSN' frontline contains only Lionel Messi as Neymar recently made a world-record move to Paris St Germain. A statement published on Barca's website on Thursday afternoon said medical tests on Suarez had revealed damage to the back of his right knee. Defender Gerard Pique, meanwhile, has injured an adductor muscle and could also miss Sunday's meeting with Betis. Reinforcements may be on their way, though, with Barca general manager Pep Segura on Wednesday claiming the signings of Philippe Coutinho and Ousmane Dembele, from Liverpool and Borussia Dortmund respectively, are "close".